Amazon Fresh is a grocery delivery service, offering foods and products of well-known brands, as well as local independent food producers and shops. With 1-hour delivery time slots from 7am-11pm, 7 days a week, AmazonFresh even offers same-day shipping for the ultimate convenience. The challenge was to create new content identity that can be shown through various platforms. We believe that the most compelling aspect of AmazonFresh is the convenience that it offered, and most importantly the time that it saves. In this day and age, our lives seem to be constantly getting busier. The simple action of getting groceries delivered right to your door can have a significant impact on your attitude. When given a little extra time, life is better. Our campaign focuses on how AmazonFresh gives people more time, and in turn providing them with better, easier, and less stressful lives - no matter what the circumstance. The convenience of AmazonFresh is a reminder that with a little extra time, you're able to find enjoyment in anything. Deliverables include 2 video commercials, 3 print ads, and a campaign website. 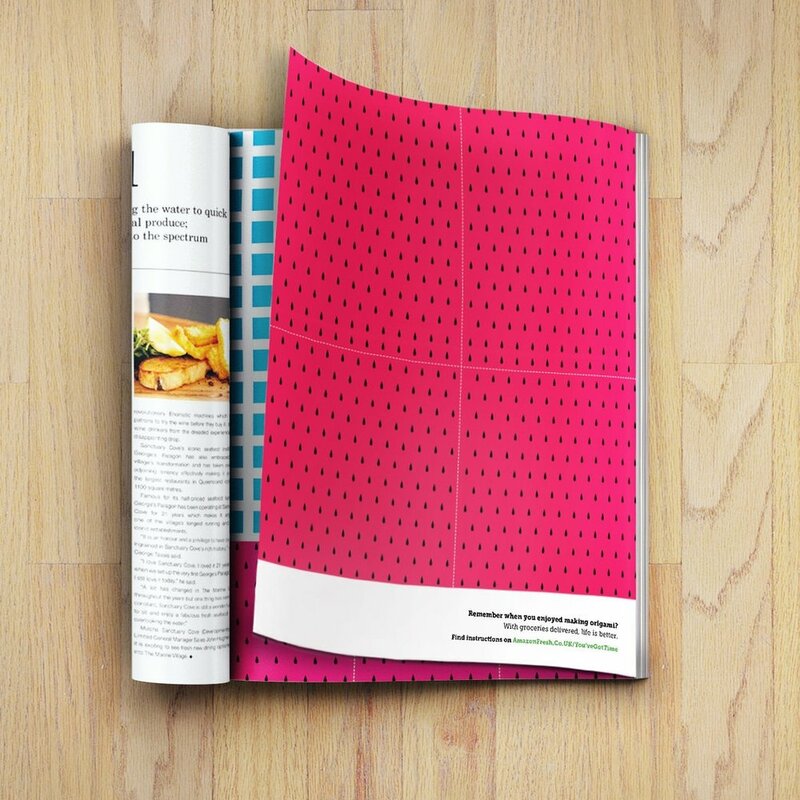 In addition to our commercials, we produced 3 print ads that convey our insight with fun activities that take up time and relieve stress.